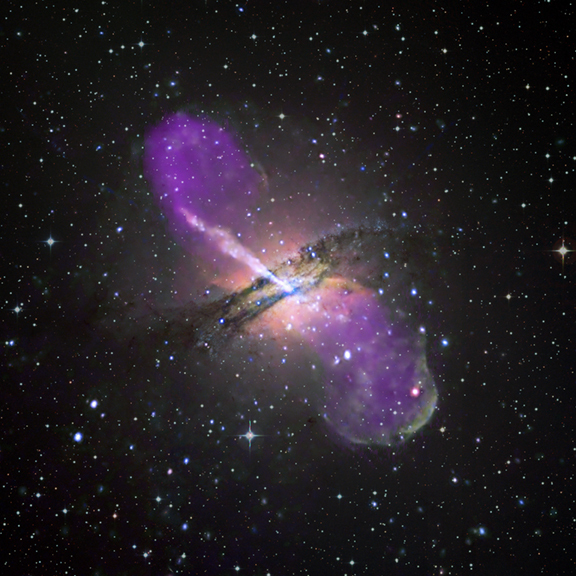 A dramatic new Chandra image of the nearby galaxy Centaurus A provides one of the best views to date of the effects of an active supermassive black hole. 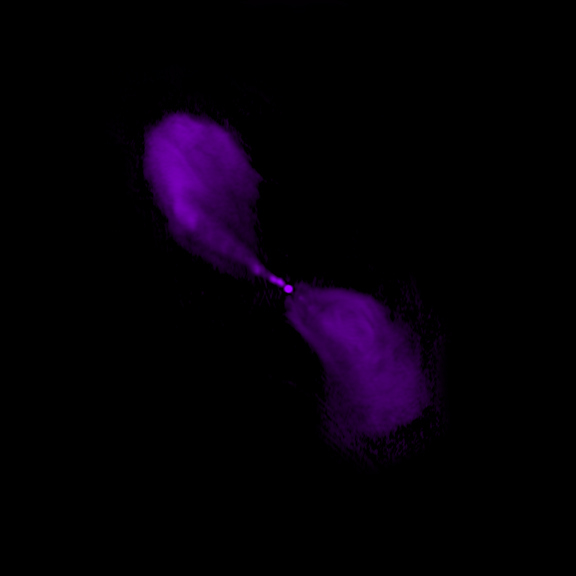 Opposing jets of high-energy particles can be seen extending to the outer reaches of the galaxy, and numerous smaller black holes in binary star systems are also visible. 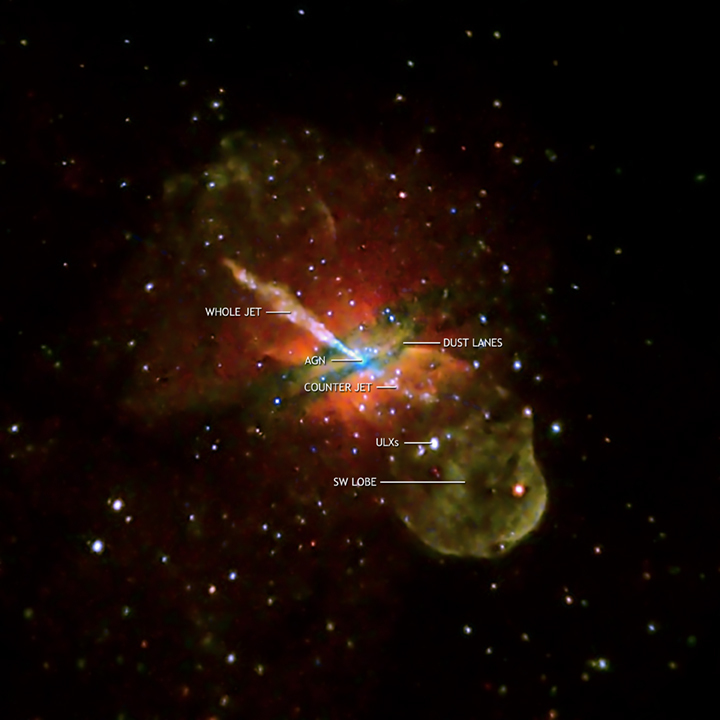 This multi-panel shows the Chandra image in context with radio and optical data. 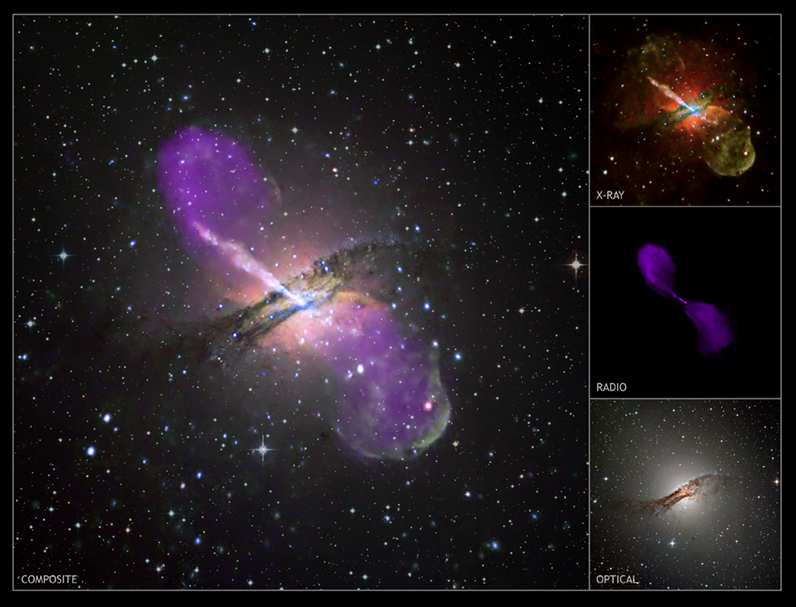 These multiwavelength images show the galaxy Centaurus A. Pictured: the radio image from the Very Large Array, the optical image from the ESO's Wide-Field Imager (WFI) camera at the ESO/MPG 2.2-m telescope on La Silla, Chile, and a combined X-ray, optical and radio version. 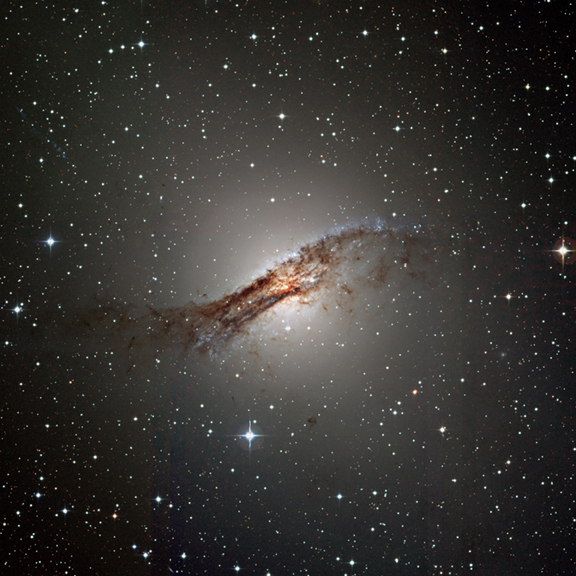 This labeled image highlights some of the important features of the Chandra X-ray Observatory image of Centaurus A. At the center of the galaxy is where the active nucleus and the launching point for a jet are featured. Particles in the jet and radiation from the active nucleus are both powered by a supermassive black hole. To the upper left the jet is shown, and the shorter "counterjet" points in the opposite direction.